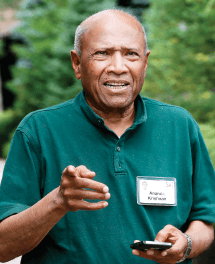 1MALAYSIA DEVELOPMENT BHD (1MDB) may have paid a high premium for T Ananda Krishnan’s (AK) power generation assets — housed under Powertek Investment Holdings Sdn Bhd (PIH) and sold for RM8.5 billion in 2012 — but it doesn’t appear to have been a sweet deal for the business tycoon. It is learnt that AK firmed up an agreement last week to extend a RM2 billion interim loan to 1MDB to help settle an outstanding RM2 billion facility that the state-owned development fund owes Malayan Banking Bhd and RHB Capital Bhd primarily. But AK may have to take a haircut from the loan eventually. At the least, he will become more entangled in the listing of 1MDB’s energy unit, Edra Global Energy Bhd. RM2 billion debt that 1MDB took on to buy PIH. However, he chose the roundabout route to avoid exercising an option to acquire PIH shares as collateral because that would result in him taking back control of the company. In the best-case scenario, where 1MDB uses RM2 billion of Edra Global’s IPO proceeds to pay off AK, he would still need collateral for extending the RM2 billion to 1MDB. PIH cannot be used as collateral because 1MDB cannot afford to lose control of the company. The strategic investment fund would breach certain bond covenants of other borrowings that requires 1MDB to retain majority control of PIH’s power assets. Even if 1MDB managed to get bondholders’ approval, it would not be wise to include a minority-owned asset in the IPO. From AK’s perspective, this would not be ideal as he would be stuck with a debt-laden unlisted vehicle. Furthermore, the remaining life of PIH’s power concessions has shortened and its balance sheet is now saddled with a RM3.5 billion term loan due over 10 years. Unless AK wants to make concessions on the valuation of PIH, which would effectively mean his taking a haircut from the RM2 billion loan, he will have to find some other form of collateral. One option is for him to take up shares in Edra Global, whose listing exercise has not been smooth sailing. This would help him reduce exposure to PIH but his exposure to Edra Global would increase. In fact, the listing is now expected to be delayed to the second half of this year. In a nutshell, AK has not washed his hands of the power assets. If anything, his fortunes are intertwined with Edra Global’s IPO. Although 1MDB’s management has, time and again, stated that it can meet its financial obligations, AK’s refinancing of the RM2 billion debts is not the first time 1MDB has restructured its debts in the past 12 months to buy more time. Recall that 1MDB has already been given two one-month extensions for the facility that was supposed to have been repaid on Nov 30. Furthermore, the amount owed is a part of a RM6.17 billion bridging loan, which was due last year, that 1MDB restructured. The debt was refinanced into a RM3.5 billion 10-year term loan secured against PIH and a RM2 billion facility due in Nov 30 last year while the remainder was repaid with interest. The bridging loan was meant to tide 1MDB over until it could list its power assets, but after several delays in the listing, 1MDB is running out of options. 1MDB recently redeemed its Cayman Islands investments of US$1.03 billion (RM3.7 billion) but for reasons best known to it, 1MDB is not using these funds to settle the RM2 billion facility, leading to speculation that the money may be pledged to other lenders. 1MDB’s obvious money troubles are also directly hurting Edra Global’s listing as it is now facing trouble in raising money to fund the development of the Jimah East 2,000mw coal-fired power station, formerly known as Project 3B. According to sources familiar with the project, AmInvestment Bank Bhd has pulled out as principal adviser, lead arranger and lead manager of an RM8.4 billion sukuk that was meant to fund it. The sukuk was structured as a bought deal with AmInvestment and Maybank subscribing for the bulk of the Islamic paper. However, Maybank cannot lend any more money to 1MDB as the strategic fund can’t settle its existing debt. Without Maybank, AmInvestment would not be able to underwrite the massive sukuk on its own. Should 1MDB settle its debt with Maybank from the RM2 billion, perhaps it can raise funds on the local sukuk market, although this might be at a high price because it will need to be done quickly. Edra Global has until the end of this month to raise RM2 billion for the construction of the power plant or it will miss a critical milestone. Subsequently, the fund has until April to complete the financial close of the project. If it cannot secure approximately RM8.4 billion in funding by then, legally, Tenaga Nasional Bhd and the Energy Commission have the right to revoke the concession for the power plant. Sources familiar with the project say 1MDB has now turned to the Japan Bank of International Cooperation for funds, but this could be very costly, given the current volatile foreign exchange movements. AK may have helped 1MDB get out of a tight spot, but he will now need to negotiate the terms of the loan with 1MDB. With the options he has, it would be interesting to see what strings come attached with his money. This article first appeared in The Edge Malaysia Weekly, on February 2 - 8 , 2015.